In the end I decided to use simple averaging of spectrograms. The node records at 6250 Hz for 1024 data points. 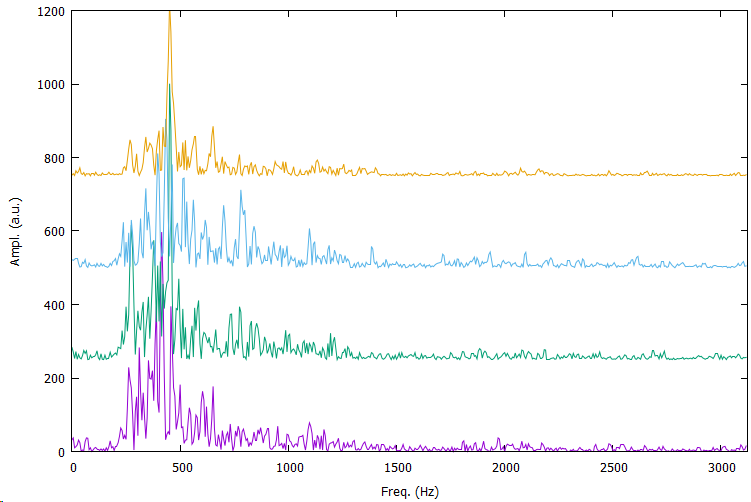 From this audio data the FFT is calculated (in 6.1 Hz wide bins). This is done some number of times (e.g. 100) and these FFT’s are averaged. 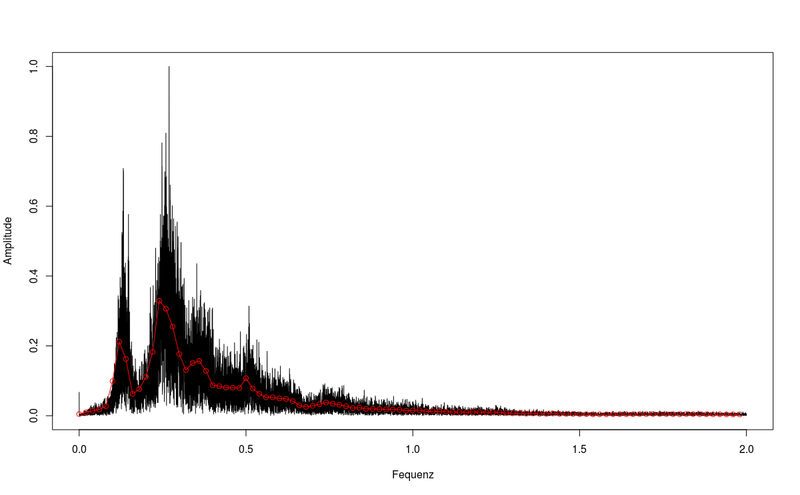 In the figure below this is shown as “fine spectrogram”, which is kept internal to the node and not sent over LoRaWAN. 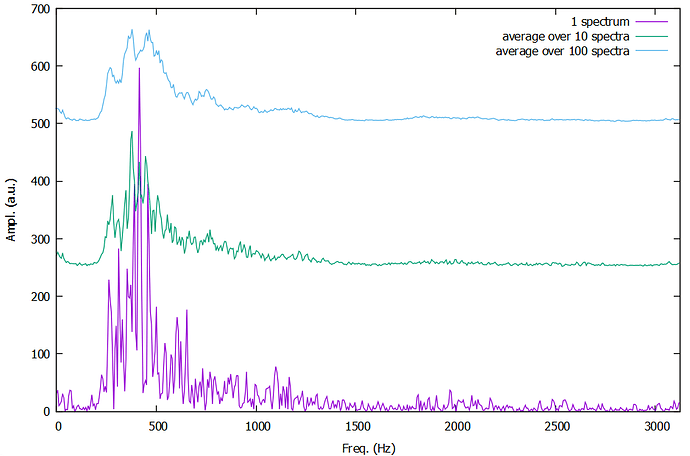 Instead, from that average spectrogram, several quantities are calculated, as listed in the graph. 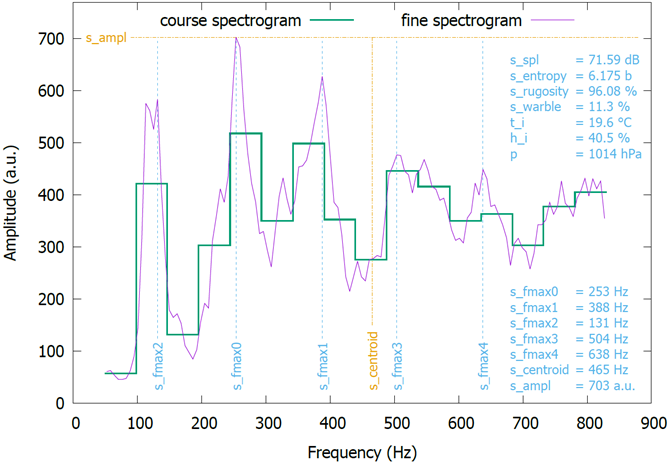 Among these is the “course spectrogram”, which is obtained by lumping eight “fine” bins together into one “course” bin. Somehow I have pretty high hopes for the s_fmax quantities, which represent the one global and another four local maxima in the spectrogram. It will be interesting to see how these evolve over time after I insert the node into one of my hives.